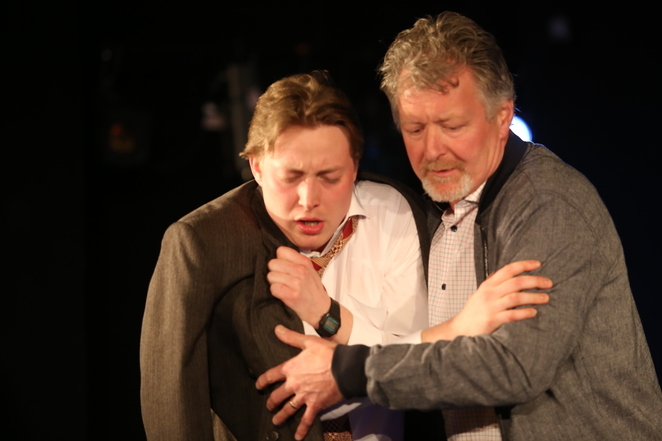 Over the past two nights (12th and 13th May), Birmingham's MAC hosted an evocative new piece of theatre written by Vanessa Oakes and directed by Mark Evans. All Is Well gets under the skin of the Chernobyl accident, providing a voice to a story which no longer occupies our newspapers, though the effects are still being strong felt decades after the event. On a minimalist stage, from which no character ever truly leaves, Nancy Surman's design created an intimate atmosphere between the audience and the small cast of characters. 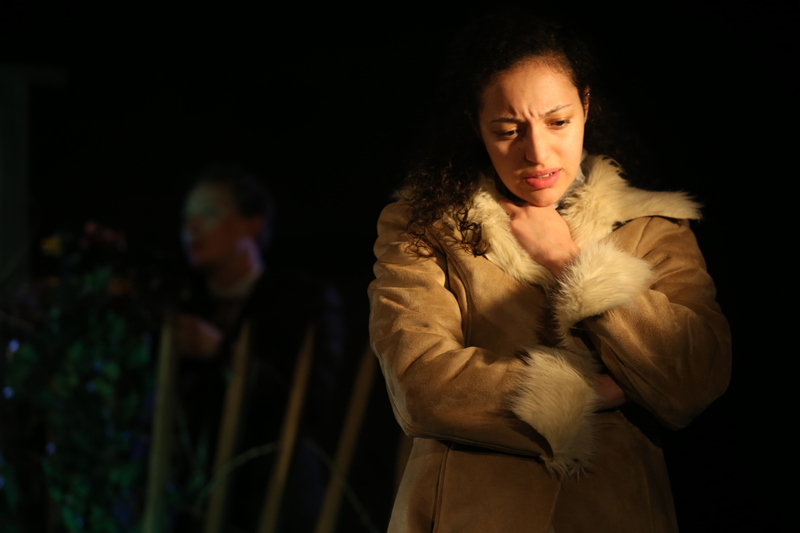 Through the voices of the four characters, Anna (Janice McKenzie), Nina (Aimee Powell), Stefan (Jack Richardson) and Aleks (Mark Carey), Oakes questions the impact of scientific progression, the effect on human lives and the capitalistic opportunism that comes with humanity's desire to gawp at sites of horror and destruction. This final question is also asked of us, the audience, have we also come to watch this play to gawp at the horror that lies in the wake of such a monumental accident? Heavily meta-theatrical, with characters announcing scenes breaks much like chapters in a book and stage directions being read aloud, the play constantly reminded the audience of its artifice. Initially, this was jarring, as character's whose names you had yet to fully grasp narrated their actions in third person. However, once this meta-theatrical structure and characters were established, the scenes and stage directions became a unique and well-utilised trait. This was particularly true of the intricately modelled puppet Blackbird, whose refusal to follow the actions he was scripted to perform provided moments of comedy whilst subtly emphasising that nature never follows man's script. Conflict runs deep within the play: whether that's conflict between Nina and Stefan, as Nina struggles to reconcile the commercialism and the real-life legacy of the accident, or the conflict between Anna and Aleks, with Anna's fighting for her home and tradition despite it being incompatible with the world in which she now finds herself. 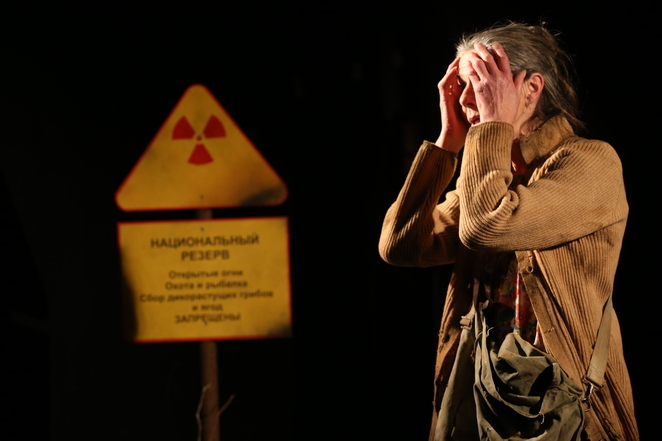 Other characters battle this same internal responsibility to their home: Stefan wishes to help the community prosper, Aleks wishes to make nuclear power safe and Nina battles in her small way to save people from the radiation whose after effects she witnesses every day. However, at the play's core is one single figure; the exquisite and rather life-like in movements blackbird. 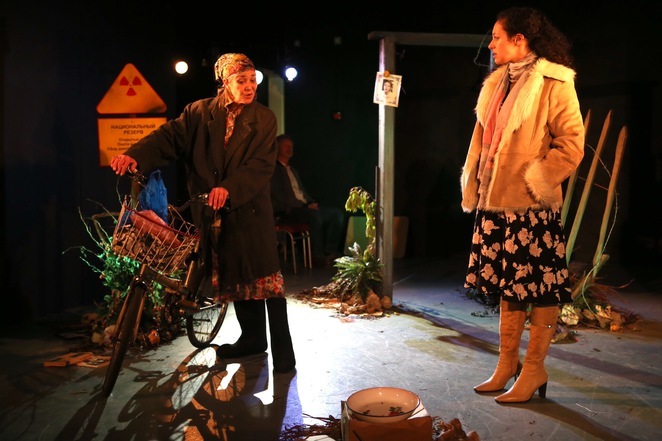 An incredible creation by Joff Chafer, the blackbird is building her nest amongst the radiation frames the entire play. The play opens with her collecting scraps of wood, while it closes to the sound of her song. The blackbird represents not only the return of nature to the site, but also the perseverance of all the characters, and of humanity, to carry on: the 'all is well' attitude running continuously throughout the play. Vanessa Oakes has created an extremely thought-provoking piece of theatre about an event that is no longer as 'current' as perhaps it should be. The sensitivity and rawness of the script was carefully reflected in every element of the stage and brilliantly embodied by the tight-knit group of actors. All Is Well is a sensitive, at times funny and raw embodiment of the price of human progression and scientific intervention. More information about this excellent production can be found here.